Using doctorSIM Pro allows you to offer your customers the best phone unlocking and checking services currently available on the market. As a renowned company in the telecommunications industry, we work closely with all recognized phone manufacturers and network carriers and will refund you immediately if we cannot unlock your customer's phone. You will have incredible discounts of UP TO 55% on our web prices and credit packs tailored to the needs of your business. Our innovative credit system means you only have to make one payment at a time rather than paying for each service individually. A huge time-saver for any business. Our multiple payment options offer you security and the convenience of using our unlocking services no matter where you are located and you have the flexibility of switching freely from one currency to another. You also have VIP access to our first-class customer support available 24x7 via e-mail and chat. So what are you waiting for? 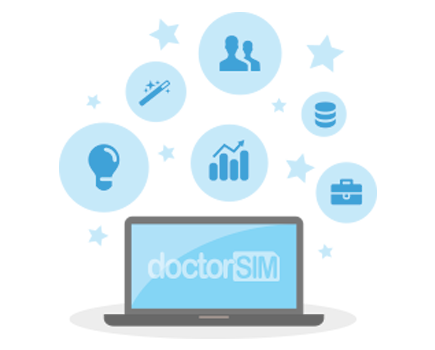 Sign up today for doctorSIM's Professional Phone Unlocking Reseller Service.